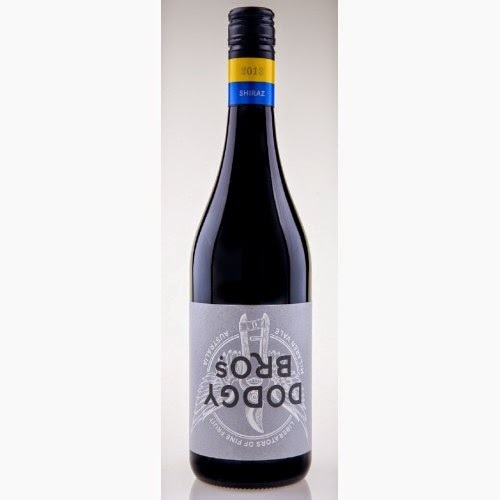 I’ve been in the box seat for the evolution of Wes Pearson and co.’s Dodgy Bros wines, having seen the wines pretty much from the start (have a read of a few Dodgy reviews here). Still, this is the best Dodgy wine I’ve tasted to date – and its a goodun. Hand picked from two vineyards in the Sellicks foothills, this was matured in old French and one new American oak barrel, bottled unfined and unfiltered. Just 460 6 packs made. Large but lithe Vale Shiraz, this shows the warmth of the vintage, in a wonderfully polished and full form. Great value too. Would I buy it? If I was in the mood for a big Shiraz hit this would be a natural choice. The price is silly for the quality really.